Basketball Book Party - DIY Box will be delivered within 7-10 days via USPS Priority. Personalized Event Flyer & Poster PDF's will be emailed in 1-2 business days after purchase. 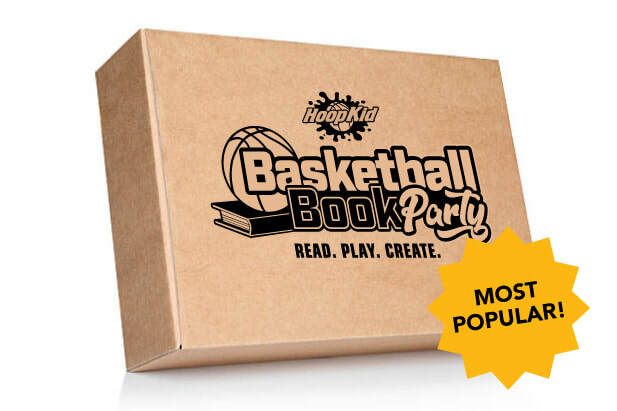 Get students reading, writing, creating and playing with this Basketball Book Party DIY Box! Each box includes over 20 interactive activities, a Teacher's Guide, student participation scorecards, and much more! The Teacher’s Guide explains the activities and the materials needed. There’s also instructions for court setup, game procedures, and equipment needed. Fun activities that get students engaged and active! Perfect for classrooms, literacy events, and after school programs! No Basketball experience necessary — beginners welcome! Great for kids who are motivated by creativity & play. Additional Hoop Kid products shipping fees will depend on total quantities. You will receive an estimate for those shipping fees once we receive your order. ​Get immediate access to your Basketball Book Party - Digital Box files as soon as you purchase. This content includes beautiful PDF printable downloads. Your gift to the Basketball Book Party will help support our efforts to get books into the hands of elementary student throughout the KC metro. And allows us to increase our capacity to host more events each year. Your name or organization will be featured on a special "Thank You" page on our website, on-site event signage, and mentioned in social media shoutouts. For a limited time, get all 3 books for the price of 2! ​These slim and exciting middle-grade chapter books with their short chapters are perfect for school reading lists and newly independent readers looking for more challenging stories full of fun and adventure! Bernard Jones might be small for his age but he’s smart and brave beyond his years! Whether he’s battling with bullies on the basketball court (The Hoop Kid), tracking down strange little blue aliens from another planet (Elite Squad) or protecting ancient relics from a dangerous international gang of ruthless thieves (Bernard Jones Is going Places), Bernard Jones has never saw a challenge, mission or adventure he wouldn’t accept. Now is the perfect opportunity for you and your young reader to come along with the brave young adventure-seeker, Bernard Jones, as he makes new friends, faces his fears and learns valuable life lessons. Basketball is one sport that gives our youth the necessary opportunity to find and express their courage, skills and competence. In today’s world, Basketball continues to help draw youth away from unhealthy habits and crime, because being fit, sharp, and competent is very important in a sport like this. Hoop Kid's Skills Training Program teaches the foundational fundamentals of the game, and help instill key core values necessary to succeed on or off the court including: responsibility, commitment, respect, visualization, faith, hard work, and determination. Hoop Kid is also currently developing original character-driven animated cartoon projects based on the stories and characters from our books. Our goal is to produce entertaining digital content that kids will love and parents will support. ​proof of registration in order to receive their free book. Help our cause. Children need you. Your support and donations will enable us to meet our goals and improve conditions. Any dollar amount is wonderful! Your generous donation will fund our mission to put books into the hands of needed children. Any amount over $1000 can be used as a tax deductible donation. A portion of all on-site book sales will be donated to our official charity sponsor (TBA). Local businesses and organizations who support literacy and reading can attend, exhibit, and connect with the community. Bernard is a fearless point guard and natural born leader. He is lightning quick, with great court vision and a wicked jump shot. When he's not playing hoops he's either hanging with his friends, building websites or reading and researching on his favorite subjects, history, ancient legends and unsolved mysteries. Alex is a tenacious defender and high-flying acrobatic scorer. He plays small forward for the Warriors and usually guards the other teams' best scorer. When he's not flying around the court he's defying gravity on his skateboard and grinding the curbs and rails all over Elmdale. Nina is a super-athletic, super-competitive shooting guard. Nina goes full tilt from the opening tip until the final buzzer. To say she's committed is an understatement. When not playing hoops she is the team's fashionista and aspiring clothing designer with a meticulous eye for detail. She loves shopping for the latest and coolest new styles for her wardrobe and design inspiration. Julius is a clever, sharp shooting two-guard with a motor that never quits. He relentlessly harasses opponents on defense and leads the Warriors in steals per game. When not playing hoops he's using his brainpower for all-things-technology, as a computer programmer and game designer. Layla is a tough and smart clutch shooting Point Guard with a killer crossover that's shakes defenders out of their shoes. Off the court, this social butterfly and aspiring journalist likes to float around getting the scoop on what's new and writing on her blog and social media pages. Maurice is the team's muscle at power forward. He's a banger and bruiser in the paint and a rebounding machine. When he unlaces his hoop kicks he likes to stay under the hood, working on his beloved hot rod, inventing wild new ways to supercharge his classic ride. Is the tall & lanky, yet cool and collected center for the Warriors. He is a natural born shot-blocker with a unstoppable jump-hook shot. But when Eric steps off the court he's back to his Music. Eric is a musical virtuoso--who can play almost every instrument--and Elmdale's resident DJ for all local events that need a fresh beat. G5 is Bernard's high-tech, robotic, wisecracking "smart" basketball. He's bouncy, upbeat and always telling jokes. He is the swiss army knife of basketball, equipped with a fun gadget for any situation. He also has a huge database in his memory with information about almost everything. ​Hoop Kid's Skills Training Program teaches the foundational fundamentals of the game that have been lost. In addition to teaching skills, we have games that will allow your child to grow and achieve the success that they desire. ​​This is the start that will give them a great foundation to build on. These cool Elite Squad stickers feature the trademark characters and logos from the book and will look awesome on notebooks, laptops, and more. 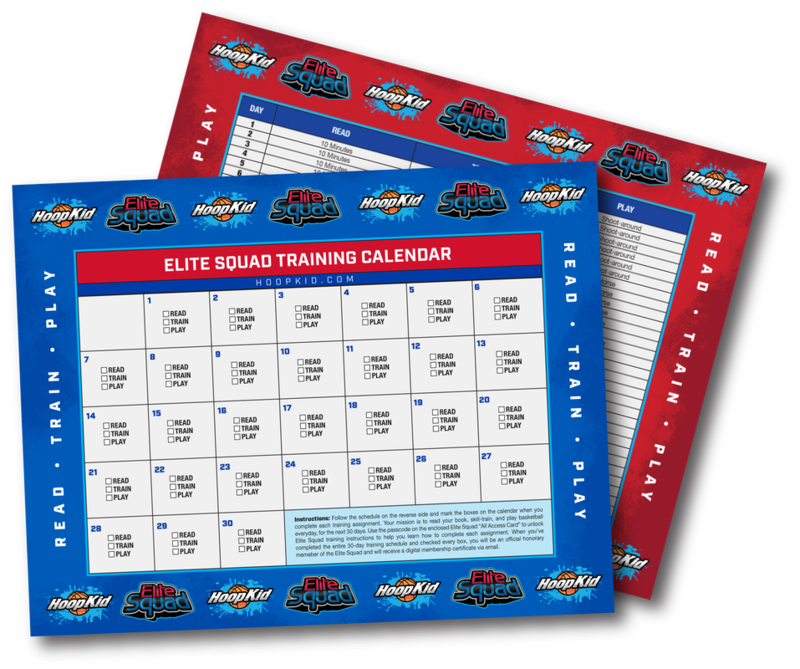 Now you can train just like the Elite Squad with your 30-day training calendar/schedule. Your mission is to read your book, skill-train, and play a fun basketball game everyday, for the next 30 days. Use the passcode on the Elite Squad All Access Card to go online and unlock Elite Squad training instructions to help you learn how to complete each exercise and game. When you’ve completed the entire 30-day training schedule and checked every box, you will be an official honorary memeber of the Elite Squad and will receive a digital membership certificate via email. Hoop Kid/Elite Squad silicone bracelet. 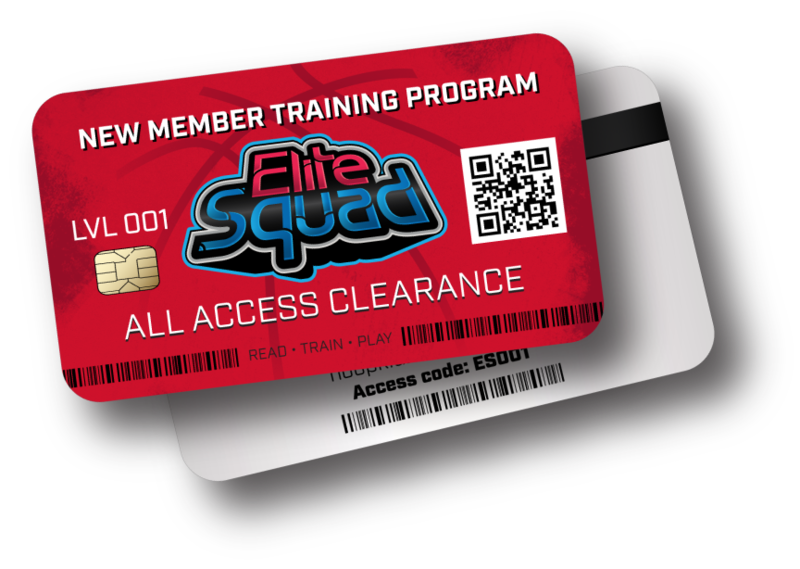 With your Elite Squad All Access Card, you will have the privilege of accessing all of the top-secret Elite Squad training instructions kept in a special portal on the Hoop Kid website. You will need these special instructions to complete the 30-Day training program and eventually receive your official honorary Elite Squad Membership Certificate. Just go online and enter the secret code featured on the back side of your card! Sign up and be the first to know when we launch the book! ​What if you found out your favorite NBA star, with his otherworldly skills, was in fact from another planet? And what if the day you finally win a pair of his signature sneakers they’re stolen minutes later by a sneaky little blue alien, who‘s on a special mission to collect all of the coolest sneakers on earth? Sounds super-crazy, right! Well, that's what happens to the 14-year-old basketball fan, and sneakerhead, Bernard Jones—and that’s just the first chapter! 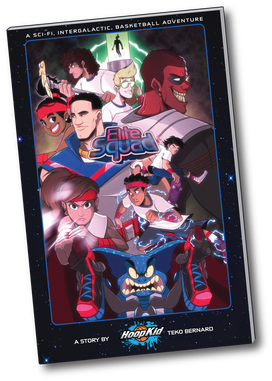 ​ELITE SQUAD is an action-adventure, middle-grade chapter book that follows six Basketball-fanatic friends, Bernard, Alex, Layla, Eric, Nina, and Mo after they are recruited to be a top-secret team of specially-trained space-alien hunters. Disguised as NBA ball boys and girls—they take on the responsibility of saving the game of basketball on earth from being destroyed by a mysterious space-alien threat. 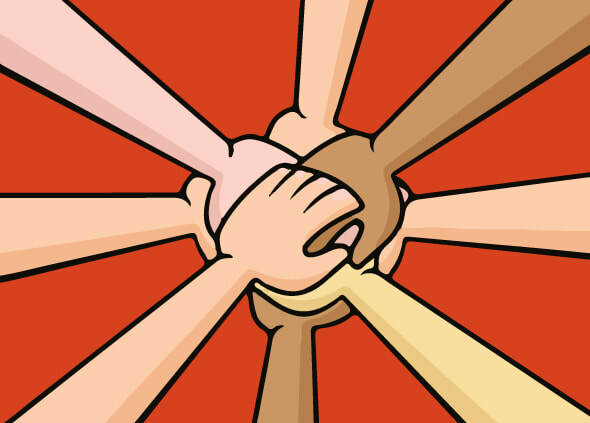 But to do so, they’ll ultimately need to overcome their doubts and fears and band together as the ELITE SQUAD. Hoop Kid is currently developing original character-driven animated cartoon projects that kids will love and parents will support. Our mission is to create sports-centric stories with positive messages that encourage kids to play sports to stay active and have fun. 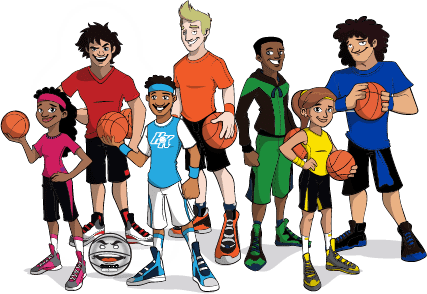 Hoop Kid is a unique basketball-centric entertainment brand for kids 8-12 who are passionate about basketball. We produce middle-grade​ chapter books and digital content to engage, entertain and enrich young lives. ​Our mission is to create cool, fun and, aspirational content that promotes basketball and teaches kids core values and life skills—such as confidence, discipline, teamwork, responsibility and coachability. There's a real need for more sports-centric family entertainment with positive messages that encourages kids to enjoy reading, learning and playing sports to stay fit, active and have fun. Hoop Kid Founder and Creator, Teko Bernard is a designer, author and producer with nearly two decades of experience with brand building and creative direction. It was Teko's life long passion for basketball, and sports branding combined with a burning desire to produce original character entertainment properties which ultimately led into the creation of Hoop Kid. 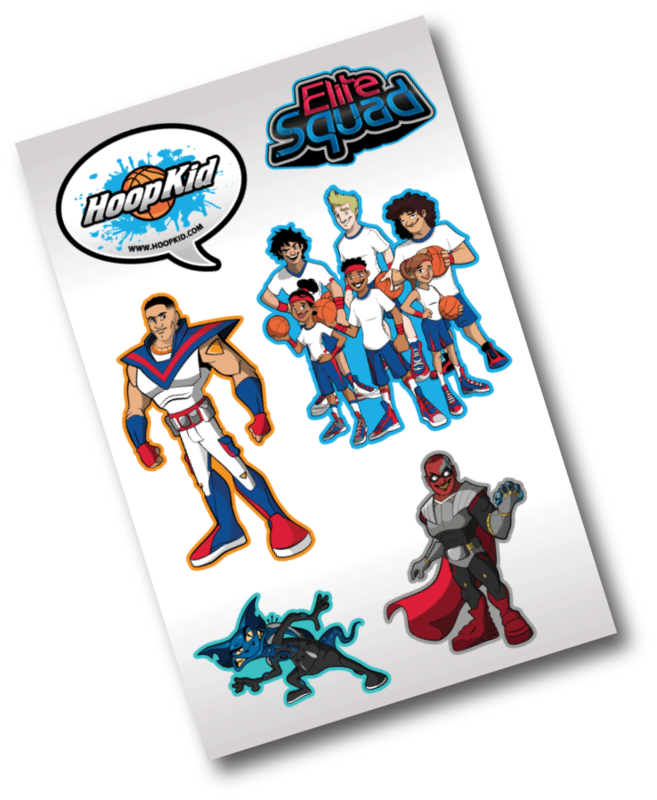 ​Hoop Kid's mission is to develop cool & fun basketball-themed content and products, that will inspire and encourage kids to play basketball to stay active and develop an early passion for reading, technology, math and sciences. Prior to founding Hoop Kid, Teko served as a designer and creative director specializing in sports design and branding. He managed a broad spectrum of visual projects including creative design for sportswear graphics, special event logos, corporate branding, advertising design, website UI and e-commerce imaging for the likes of ESPN, Summer X Games, Winter X Games, Bassmaster Classic, NBA, NCAA, Big XII Conference and over 10 College Bowl Games including the Rose Bowl, Sugar Bowl, Cotton Bowl, Capital One Bowl, Champs Sports Bowl. In 2010 Teko began to immerse himself in the world of kids entertainment—both the business and the craft. He quickly realized his niche and focus would naturally be sports-themed family entertainment. And today, Teko Bernard Productions conceptualizes, develops and produces original fiction books and character entertainment properties for ages 8-13. With the aim of engaging, inspiring and entertaining through cool, fun and uplifting stories and diverse characters.